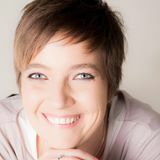 Dr. Anna Cornelia Beyer is a lecturer in security studies at the University of Hull. Her research focuses in particular on the role of the United States in the world, she engages in studies of the international relations of counterterrorism, as well as causes of terrorism and violence more broadly. Her main publications include: Violent Globalisms: Conflict in Response to Empire; Effectively Countering Terrorism, Counterterrorism and International Power Relations. 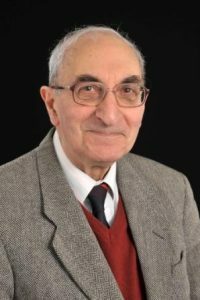 John Friend is Emeritus Professor of Plant Biology and Head of Department from 1969 at the University of Hull where he was Dean of the Science for 2 years and Science PVC for 3 years. He was a visiting Professor in the Botany Department of Hebrew University of Jerusalem. His main Israeli research collaborator was Professor Alfred (Abraham Max) Mayer. Their main collaboration was on biochemistry of plant diseases. 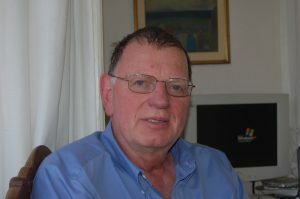 John was also the first chairman of ASGIME, the Academic Study Group on Israel and the Middle East. ASGIME organised visits of British academics to Israel and invited many visiting Israeli academics in the UK to lecture in Hull. Professor Gary Edles is in his second career. For 28 years he was a senior civil servant and lawyer with four U.S. government agencies. 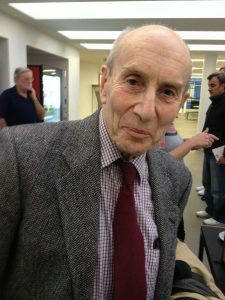 Upon retirement, he was named a Fellow in Administrative Law and Adjunct Professor of Law at American University Washington College of Law, Washington, D.C., and, after moving to Yorkshire with his wife in 1997, also became a permanent Visiting Professor at the University of Hull Law School. He holds both Masters and Doctorate degrees, is licensed as a lawyer in the United States, and is listed in Who’s Who in America and Who’s Who in American Law. He is co-author of two books and more than a dozen journal articles. Richard Collin is an American who has spent much of his life in Great Britain, Richard Oliver Collin first visited the Middle East as a US Government employee, travelling to most of the countries in the region. After studying Middle Eastern history at Harvard, he completed his doctorate in politics at Oxford University. 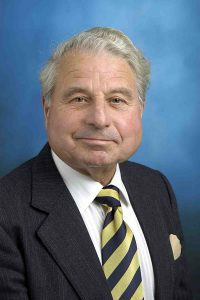 Having served as a visiting professor at the University of Maryland, Queens University, Belfast, and University College Northampton, he is now Distinguished Professor Emeritus at Coastal Carolina University in the United States. His current research interest is the role of languages in international politics. Richard lives with his wife, Thea, in Beverley, East Yorkshire. 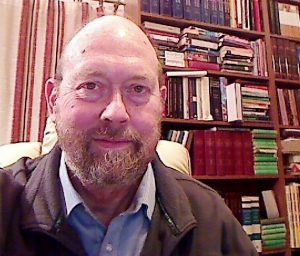 Lester L. Grabbe is Emeritus Professor of Hebrew Bible and Early Judaism at the University. His main interest is in the history of ancient Israel and the Jews of the Second Temple period. He founded the European Seminar on Methodology in Israel’s History, and published the proceedings in the sub-series European Seminar in Historical Methodology (Bloomsbury T & T Clark. In addition, he has authored more than a dozen volumes, as well editing or co-editing a total of 21 volumes. He is also series editor of T & T Clark International monographs, Library of Second Temple Studies. 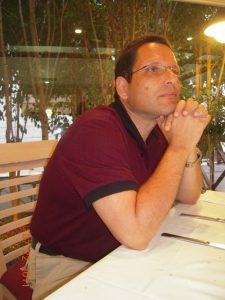 Currently he is working on a four-volume History of Jews and Judaism in the Second Temple Period, including the Persian period and the early Hellenistic period. He is now working on vol. 3, which includes the Hasmonaeans (Maccabees) and Herod the Great. Professor Jack Hayward was an Emeritus Professor of Politics, Oxford University, and Research Professor of Politics in Hull, where he taught from 1973 until 1992. He has published mainly on France and on the EU, including edited books are Regression: The Withering of the Welfare State and European Disunion – Between Sovereignty and Solidarity. Jack was one of the founders of MESG. He died at his home on 8 December 2017. 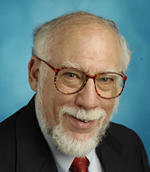 Irving Kirsch is Associate Director of the Program in Placebo Studies at the Harvard Medical School, lecturer in medicine at Beth Israel Deaconess Medical Center, Professor of Psychology at the University of Plymouth (UK), and Professor Emeritus at the University of Hull and the University of Connecticut. He has published 10 books and more than 200 scientific journal articles and book chapters on placebo effects, antidepressant medication, hypnosis, and suggestion. He originated the concept of response expectancy. 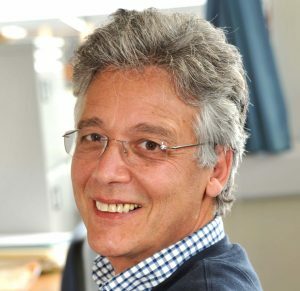 His meta-analyses on the efficacy of antidepressants were covered extensively in the international media and influenced official guidelines for the treatment of depression in the United Kingdom. His book, The Emperor’s New Drugs: Exploding the Antidepressant Myth, which has been published in English, French, and Japanese, was shortlisted for the prestigious Mind Book of the Year award. It was the topic of a 5-page cover story in Newsweek, and was favourably reviewed in the New York Review of Books by Marcia Angell, former editor-in-chief of the New England Journal of Medicine. It is currently being translated into Italian and Turkish. Giuliana Mazzoni is Professor of Psychology at the University of Hull, UK. Her main area of investigation is memory, with a special interest in memory distortions and the effect of suggestion on memory. Her research also investigates autobiographical memory and the effect of suggestion on different types of health-related behaviours. She is the author of more than 100 papers, 8 books and 31 book chapters. 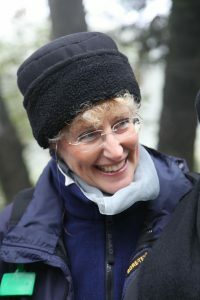 Her work has been featured in Science and in many national and international media.